Nintendo Switch – Joy-Con (L/R)-Neon Red/Neon Blue In Stock! 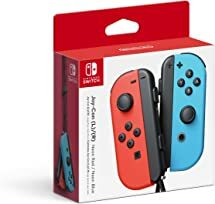 Grab the Nintendo Switch – Joy-Con (L/R)-Neon Red/Neon Blue for $79.99 at Amazon! Previous PostPrevious Nintendo Switch with Gray Joy-Con In Stock!